BOOM! 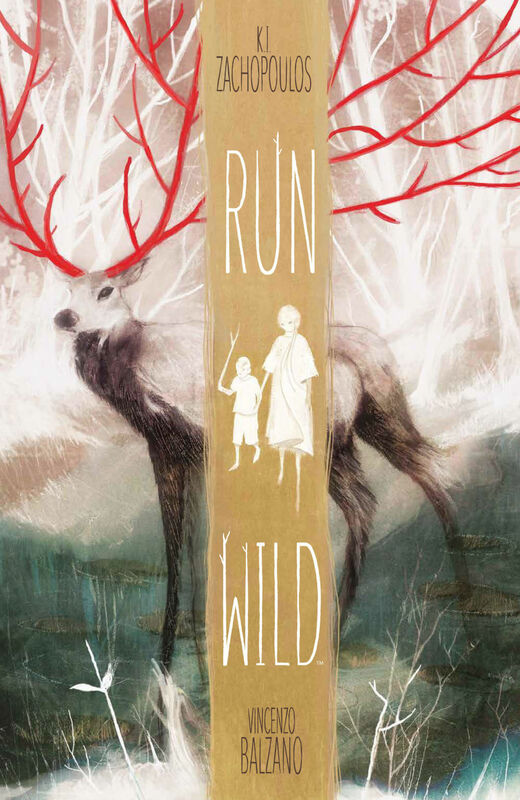 Studios has released a trailer for Run Wild, the original graphic novel by K.I. Zachopoulos and Vincenzo Balzano hitting stores in July from their Archaia imprint. Balanzo, a triple threat apparently, also produced the video and wrote the piano music that plays during it. Run Wild is about the last two human children on Earth searching for their mother after all people are turned into animals. The trailer bills these two kids as the last hope for the world, but honestly, with everything that’s been going on lately, can anyone really argue that the world wouldn’t actually be better off if all people were turned into cute animals? When all of civilization begins turning into animals, only two people remain–young siblings Ava and Flynn. On a desperate search for safety in an unpredictable and violent world, they’ll traverse a wild and unruly landscape, make friends and foes of all species, and discover what really makes them human.